I just noticed this game existed and would love to hear more about it! The art style looks great, and I'd love to know if it succeeds at scratching the Wizardry or Might and Magic itch. It looks promising! I'm almost done with it (stuck at a puzzle on the last set of levels). It doesn't quite play like your traditional dungeon crawl. It has the grid movement, but combat is turn based and there are finite encounters, so it doesn't overwhelm with constant tiresome random battles. It looks SUPER pretty and has some neat, original environments (a sunken cast, the side of massive world-tree) and it's based on Eastern European mythology so it feels distinctly unlike your average western fantasy game. Voice acting is...actually ok. The prologue voices are the worst in the game, the others are much better. And that's just as well, because there is a LOT of voice acting. I think this is the talkiest Dungeon Master style game i think i've ever played. Luckily the banter back and forth is generally pretty good. Lots of secrets in the maps too, and you eventually get a bonfire fast travel so you can go back and find more secrets once you get special equipment, Metroid style. It's a whole weird mix of things that is actually super charming and works really well. Definitely worth a look! EGS doesn't track your time in the game but if I had to estimate i'd say i was probably 20-odd hours into it at this stage?, and that's with backtracking a bit for secrets, so it doesn't feel like it's outstaying it's welcome either. Yay! Most of that makes me happy, and I'm excited to check it out once I can roll around to it. 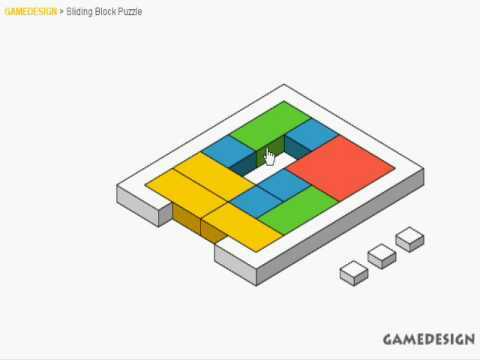 ooooo....the last level has compulsory sliding block puzzles. I've changed my mind, burn EVERYTHING to the ground! When will devs learn that nobody has ever enjoyed sliding blocks. And done! Yeah. Liked that a lot. Couple of super annoying puzzles in the last stage but overall I don't really have much bad to say about it. Solid little dungeon crawler. Definitely worth a look! Just watched a couple videos of this on the GWJPlays youtube channel yesterday. Looks fun. Good to know! How many hours did you ultimately put into it, and did you do all the side quests, etc? Is there much replay value? I'm in the minority that sort of likes random encounters, it makes old completed zones feel somewhat alive. Calibrating my expectations and level of annoyance. EGS doesn't have a "time played" but i'd estimate probably around the 20-25 hour mark, tops? I skipped a fair few secrets but I did do SOME back-tracking to have a poke around, so you could probably get through it faster than that. Not sure there's a great deal of replay value, unless you want to replay to find all the secrets (but you can load up your last save and do that anyway) or you want to try out a different class's abilities or NPC combination. NO restocked random encounters though, once a zone is clear, it's clear. There is a story hook in place for a sequel / dlc though. *scratches chin* Why can't the evil warlock (or whoevs) just lock me in the Chamber of Tetris Doom for once..
i mean, to be fair, if someone wants to keep me out of a room, putting a mixed picture sliding block puzzle on the door is a pretty effective deterrent. I got a chance to play the opening of this last night and a bit of the first area. I have thoughts! I'm coming at this from a bit of a different angle than others here. My experience with the DRPG genre is almost entirely by way of the absolute glut of them coming out in Japan over the last decade or so. I don't feel well-equipped at all to compare this to Wizardry or Might & Magic or The Legend of Grimrock; my reference points are Etrian Odyssey, Shin Megami Tensei, and the like. From that vantage point, this game feels like it falls along the usual divide between WRPGs and JRPGs. It's considerably more pretty than your typical Japanese DRPG, but it feels a lot more basic, even a bit shallow. The environments are gorgeous to look at, and the enemies are all richly detailed 3D models. Your team is depicted with static character portraits, but they're all decently voiced (with the exception of one glaringly bad character in the prologue whose lines sound like temp work) and they look good. But the layout of the areas feels very basic, and the combat model so far looks to be similarly basic. Comparing the opening areas here to your typical Japanese DRPG, the areas are less intricate and less interconnected. Likewise, combat feels like your usual WRPG slaw of abilities with complex, percentage-based damage modifiers that mostly come down to spamming your biggest attacks as their cooldowns are up, but I could be wrong. The controls are a bit awkward on Xbox, but some of that is my own muscle memory getting in the way. I'm used to using the d-pad to navigate with left and right being used to turn and the shoulder buttons being used to side-step. This game uses the analog stick to move with left and right being used to side-step and the shoulder buttons being used to turn. It's weird, but I'll adjust. I'm looking forward to playing more. I realize that a lot of this has come off as a bit negative, but I do want to emphasize that I enjoyed what I played. It seems like a nice, light DRPG, which isn't a bad thing at all. oh yeah, in general this is significantly more basic on a systems level than your average Japanese dungeon crawler. If you get stuck anywhere, it certainly wont be because of a difficult boss fight. Thanks Clocky, that's a great post and I appreciate the detail quite a bit. There's something about this genre that feels like it is on the cusp of a big evolution. I don't have nearly as much experience with the JRPG side of Blobbers, but I've felt like the last few WRPGs I've played that have tried to innovate have had some interesting ideas and success in some realms but collapsed profoundly in others. It is still a genre which is in dialogue with its past and hasn't quite figured out how to exist in the modern world the same way isometrics have. Bard's Tale IV had some really neat combat ideas that shook up the standard initiative turn based model and instead had parties acquiring opportunities, which allowed any character to make an action. Though the combat was fun, the game itself fizzled after about 15-20 hours in. Part of this was visual design, part of this was level design, IMO. Might & Magic X was nice as a throwback, but had some weird unforced errors (most notably, the racism in an early level) and failed to put together an interesting story with interesting characters. It was all streamlined throwback and no real risks or innovation. Legend of Grimrock was a twitchy, puzzle-centric riff that seemed to click with a lot of people but feels less like an evolution forward for the genre and more like an interesting real time experiment that is its own side branch. Lords of Xulima was super interesting, and I feel like it was an important stepping stone to vary WRPG blobbers up in terms of how they handle positioning. It had some interesting narrative ideas that it couldn't quite pull off though, and the preponderance of random encounters slowed the game down. I think it was meant to appeal to folks who enjoy grinding but I think it sort of shot a lot of the rest of the game in the foot. Starcrawlers had me intrigued for awhile, but once I found a winning combat strategy the encounters all felt very same-y. Where Operencia intrigues me is in its visual design and its competent use of large amounts of VO. I also dig that it is console compatible (even though I'm bummed that it is an X-Box exclusive.) It looks like a fun game that does a bunch of stuff right. I can't help but feel that this subgenre is on the cusp of having something that finally puts everything together and then also has a capital B Big Design Idea that shakes up some ideas about what's possible in the space. Lots of other throwback subgenres have found that in the past five years or so, and a strong release like Operencia feels like it is bringing that day just a little bit closer for this one. What I find curious about these games is that all of the recent Western releases in the genre seem to completely ignore everything that's happened in Japan. There's almost thirty years of design ideas and iterations there that just aren't being touched. I'm not saying that they should simply copy what Japanese designers have done (and there's been plenty of calcification there that needs breaking through), but it's odd at times to see what seem like Western designers trying to reinvent the wheel when Japanese designers have had that element figured out for awhile. Operencia's controls are a good example of that. PC gaming is a lot less common in Japan than in the West, so the DRPGs there have developed with console controls in mind. One of the norms that's evolved there is to put movement on the d-pad instead of on analog sticks because the player's movement is similarly restricted to four directions. Likewise, I've seen a lot of games that put free-look on the left analog stick so that you can look around or you can move, but you can't really do both at the same time. Why does that matter? When you put movement on the left thumbstick and looking around on the right, you naturally end up trying to control the game like you would any normal dual analog first-person game, and Operencia just doesn't control like that. It ends up feeling clunky and awful. One other place this comes up in Operencia's controls is when you're dealing with interactive objects. In Operencia, if you're standing on a tile in front of an interactive object, like an item to pick up, you have to move the camera to look at the object you're interacting with before the interaction prompt will appear. (There are also, weirdly, interactive elements that would land on the edges between tiles, which is just odd.) Typically, in a Japanese game, you'd expect for all the interactive elements to be at eye-level with the camera, or else you'd expect for at least an interaction prompt to be at eye level even if the camera then shifted to look at an object that wasn't. Where this is different with mouse and keyboard is that with mouse and keyboard, moving around and looking around are largely decoupled. The precision of the mouse pointer means that you just move it to look at things you're interested in while moving around with your other hand. On dual analog controllers, moving and looking around are linked in first-person. If you watch someone's hands while they play first-person games with a controller, they're always moving both stick simultaneously. It's not only awkward to only use one of them, but it makes it harder for you to look and move where you want to go. Operencia seems to really want you to move around then look around, and that's not how first-person movement with a controller works. But my point is this: it's a solved problem and has been for a decade or more. There wasn't really a need for them to try out a control concept that isn't entirely successful. But I don't get the impression that any of the Western devs working in this genre have spent a lot of time with the Japanese branch, so they're doing these things like it's the first time they've been done. Apologies for having diverted the thread into a more general conversation about the subgenre, but I'd love to brush up on some of DRPGs that weren't designed in the West. This is a subgenre that I grew up playing the Western iterations of but I completely missed the rest of it. I'm definitely eager to fill some gaps, and open to feedback of what I should seek out. Would you have any recs for someone like me? Someone who has a pretty expansive vocabulary of what Western designers in this cRPG subgenre have done (both historically and in the present), a high degree of comfort with unusual / risky / crunchy design decisions, and a great deal of appreciation for interesting narrative layers beyond the hacking and slashing - but completely lacks any foundational JRPG knowledge? I've got a Windows based laptop, a PS4, and an iPhone. I noticed Operencia isn't on Steam yet, but it is on XBOX Game Pass, and Microsoft is running a get 3 months for $1 special now for inactive customers. It's also an "available anywhere" game, so you can download it through the Windows 10 Store client and play on a PC if you want, all for $1 for 3 months. I picked up the deal but will probably give it a shot on the XBOX One. Yep, I downloaded it yesterday on the XBox One! I want to finish some other games first, but it’s all queued up. OK, I'm sure I'm just dense but can someone explain what the third of the three main character icons represents. I assume the double-crossed swords are your attack rating (some combination of melee and ranged??) and the shield is obviously defense but what is the eye with the lightning bolts around it? It seems to change quite a bit based on what's equipped but I can't figure out why. I find it hard to compare items as the changes in stats don't always seem to make sense. For instance, I'll compare two shields and one seems superior but for some reason the stat changes don't reflect that. I also REALLY wish you could make notes on the maps. i don't have it to boot up right now but i think it's critical hit chance? but yeah - really needed an ability to make notes on the map!